Finca, centrally located in the olive grove with mountain views and pool. The rural country house with mountain views is located on the outskirts of the charming village Biniamar. Welcome to this beautiful rural house with a salt swimming pool located at Biniamar, where 6-8 guests will spend an unforgettable hollydays. Welcome to this great villa located on the outskirts of the lovely village of Biniamar, on the way to Lloseta. It offers a private pool and accommodation for 6 people. Welcome to this wonderful rustic house for 6 people in Lloseta. 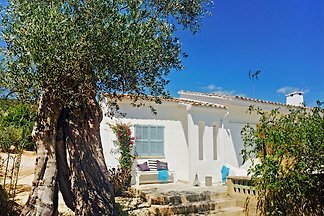 This is a wonderful cottage for 12-15 guests, close to the village Inca and to the mountains Serra de Tramuntana. Cozy property located in the mountain and country area of Inca. It can comfortably accommodate 6 people plus 1 additional space and offers views of the countryside and mountains. Enjoy the calm of the countryside in this beautiful house for 6 + 2 people with private pool in the outskirts of Lloseta. 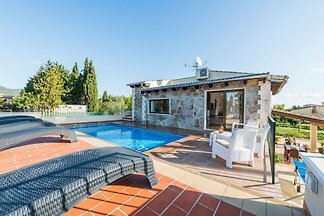 Fantastic village house in Mancor de la Vall, at the foot of Sierra de Tramuntana, with private pool and capacity for 10 people. Wonderful townhouse with unbeatable exteriors in Mancor de la Vall, suitable for up to 7 people. Be amaze with the spectacular views over the town of Inca at this incomparable villa with private pool! More than 20. This is a fabulous stone cottage near Inca and can comfortably accommodate 8-9 people. from 5 1 holiday homes & accommodations in Biniamar were rated with an average of 5 out of 5 stars ! Rent successfully your holiday flat or holiday home in Biniamar in only 20 minutes !